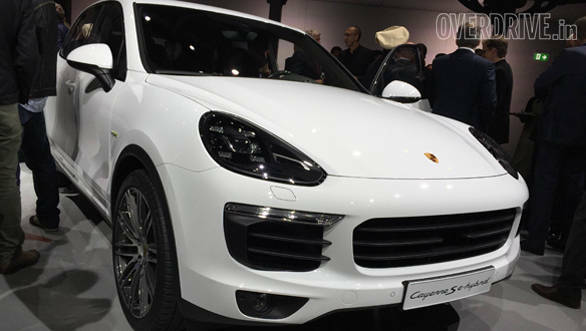 The 2015 Cayenne will be launched in UK on October 11. 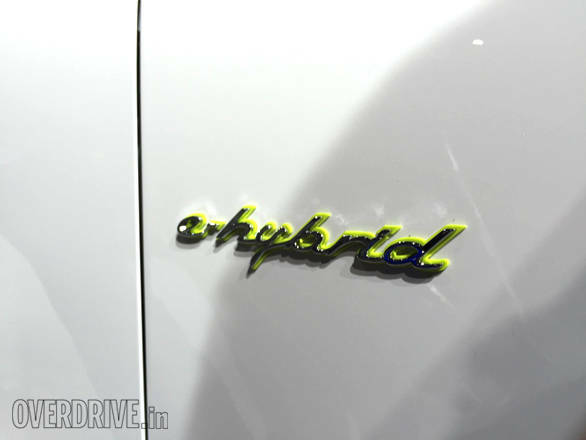 At the 2014 Paris Motor Show, we spotted the S E-Hybrid variant of the SUV. 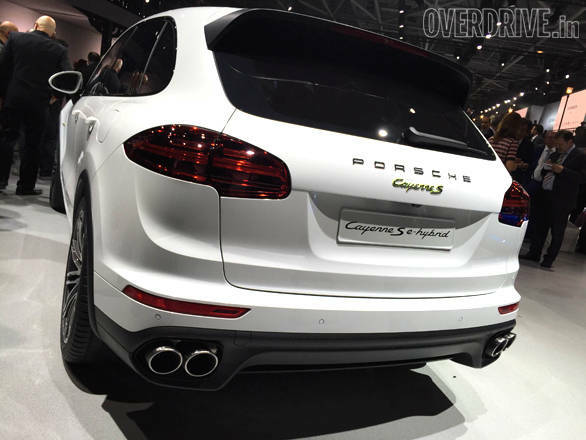 On the outside, the new Cayenne retains quite a bit of its resemblance to the outgoing version. On the front, there are minor tweaks such as the addition of a larger grille, a reshaped bonnet, sculpted wheel arches and all-new airblades on either side of the nose for directing air into the two side intakes. The changes to note on the rear are the new looking quad exhausts integrated into the lower bumper and the tail lamps with a reconfigured layout. The S E-Hybrid is a plug-in SUV that's powered by a supercharged 328PS 3.0-litre V6 petrol engine with a 93PS electric motor. The CO2 emissions, according to Porsche, are as low as 79g/km. Pure electric range is claimed at 35km while maintaining speeds close to 112kmph. The combined output is expected to deliver 416PS and 590Nm of torque. At 5.9 seconds for a naught to 100kmph sprint and with a top whack of 243kmph, Porsche maintains that despite the frugality, the car doesn't compromise on performance. The S E-Hybrid retails at prices starting from £61,474 (Rs 60.45 lakh) in UK.